Rage illustration to create fury, protest and revolution designs. 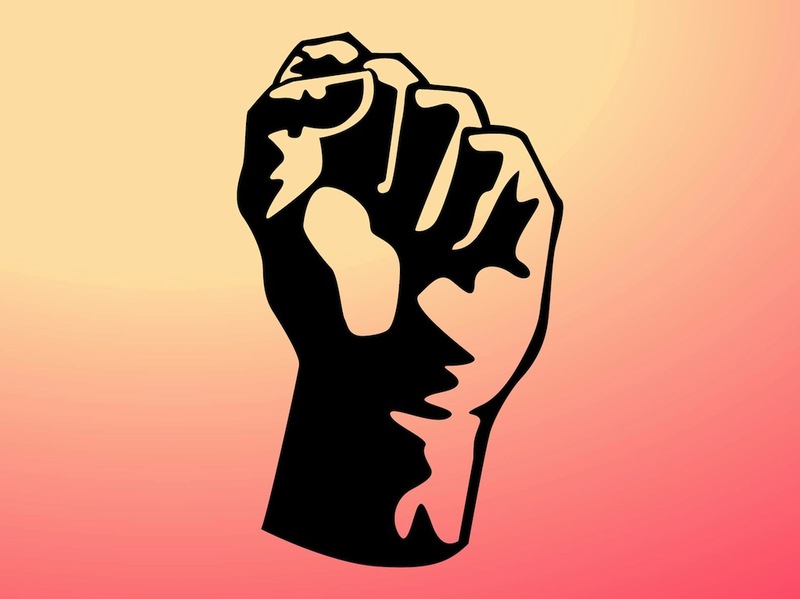 Vector graphics of a hand pressed in a raised fist. Comic book style hand with solid color shapes forming the gesture. Symbol of violence, rebelliousness or anger to create decals, stickers, company logos, icons, tattoos and clothing prints. Free vector design for boxing and fighting projects. Tags: Boxer, Fight, Fury, Gesture, Hand, Protest, Punch, Rage, Rebel, Revolution.